EMI Research Solutions offers you the ability to reach voter panels that have captured hundreds of variables that address all of your political research and polling needs. With over 1 million verified panelists with attributes across key political, behavioral and socio-economic variables – we allow you to tap into the target audience you want. Need more examples? Click below to view more. Want to learn how to increase the accuracy of your political polling? 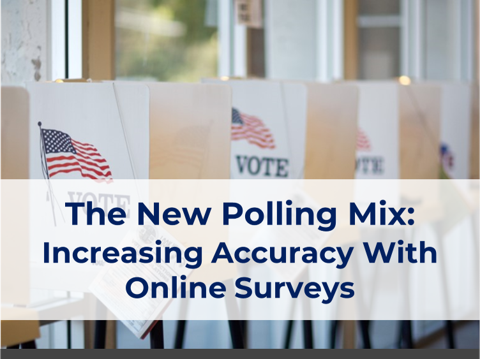 Watch our on-demand webinar The New Polling Mix: Increasing Accuracy Through Online Surveys to find out how online surveys can provide you accurate data. Want to discover ho EMI can help you with your next political polling or public opinion study? Click the button below to request your free consultation.